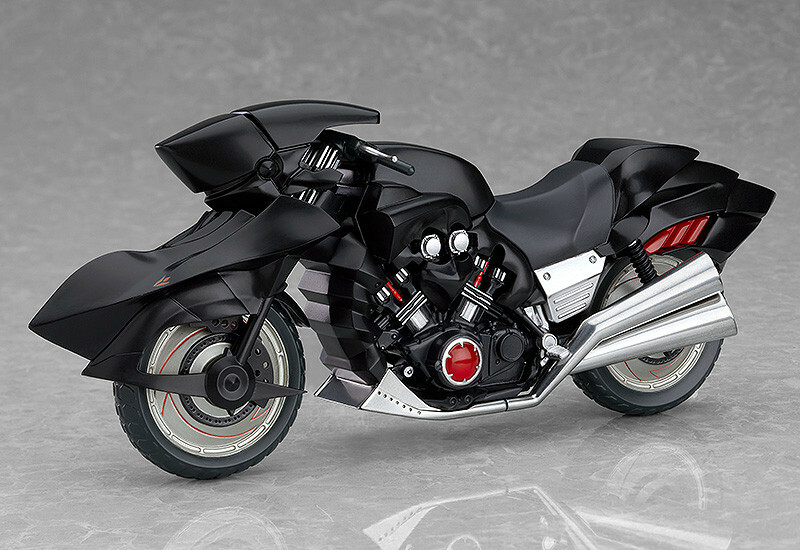 An ex:ride of the super-fast motorbike used by Saber (Alter)! 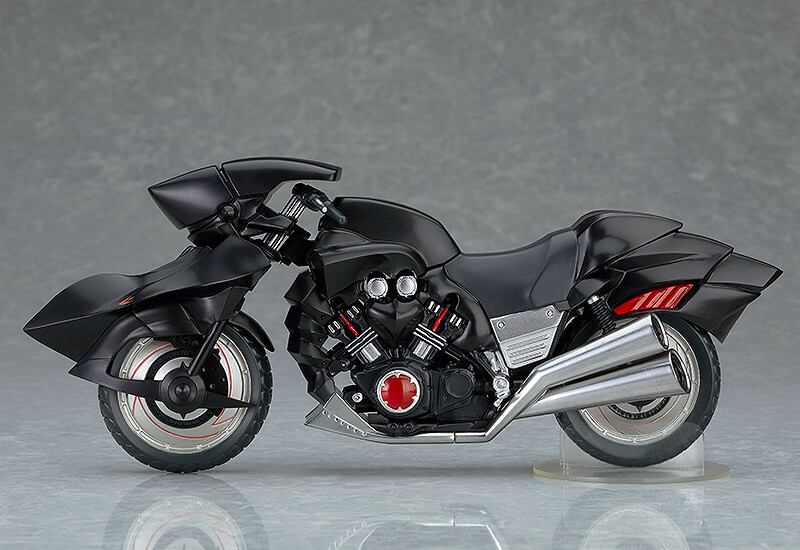 From smartphone game "Fate Grand/Order", Saber/Altria Pendragon's motorbike Cuirassier Noir is joining the ex:ride vehicle series made for figma action figures! 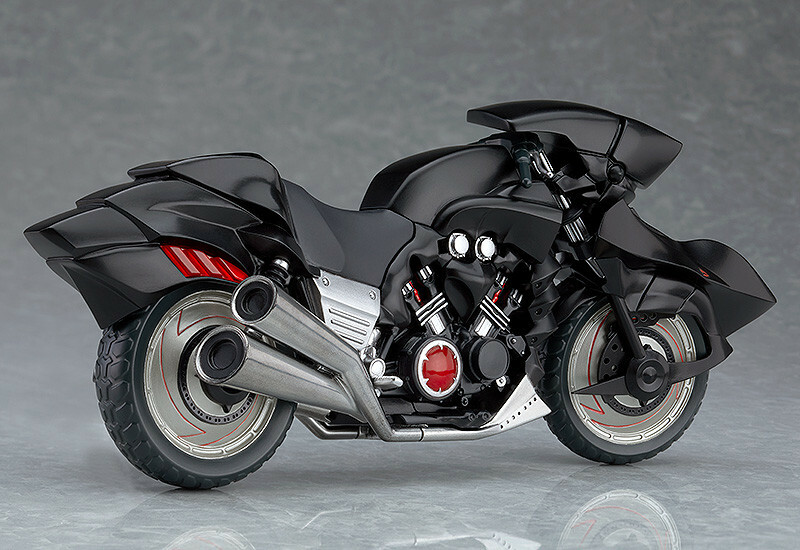 The motorbike appears in the "Singularity Subspecies I: Malignant Quarantined Demonic Realm: Shinjuku Phantom Incident" story in the game. The bike has been sculpted faithfully to match the original in-game apperance and features a dense, high-quality build. Have fun displaying it with figma Saber/Altria Pendragon (Alter) Shinjuku Ver. (sold separately)! 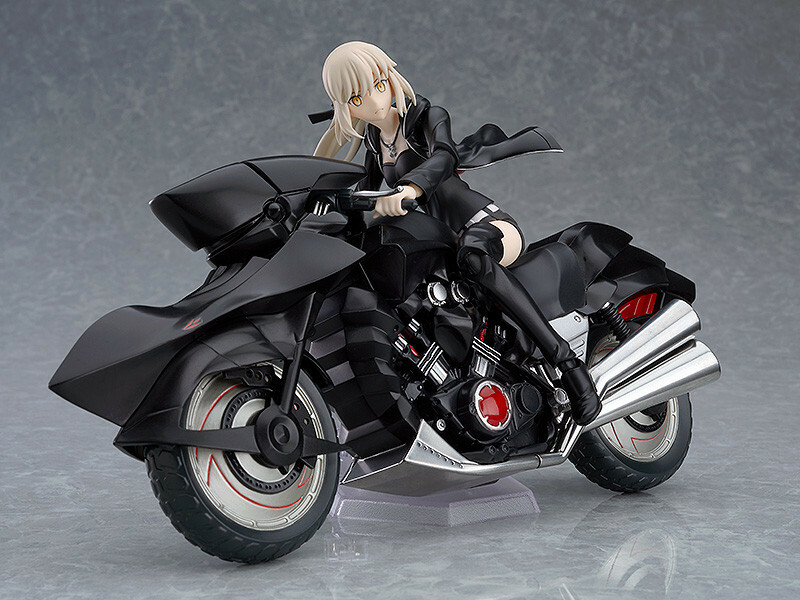 → figma Saber/Altria Pendragon (Alter) Shinjuku Ver. is also available for preorder! Painted ABS non-scale figure with stand included. Approximately 220mm in length. Preorders will be open from 6th November 2018 (Tue) from 12:00JST until 6th December 2018 (Thu) at 12:00JST.